Awesomenauts is putting the War back in Wardrobe! The characters of the multiplayer shooter Awesomenauts have always looked pretty fine, but as of today they can get totally fabulous! Because each of them now has access to a sweet alternative outfit. 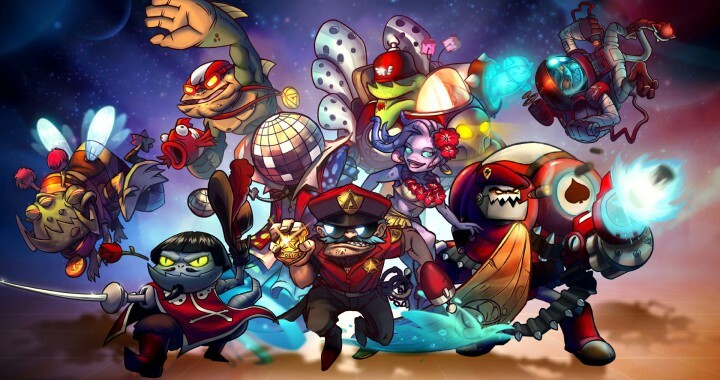 Arrest unruly Awesomenauts as Officer Lonestar! Float like an alien, sting like a bee as Bumble Gnaw! Or get your groove on as Disco Voltar! – Costume Party ($14.99 / €14,99 / £11,99): All nine skins! So suit up, it’s time to get Awesome!